With ESYS Fleet, we offer you a completely web-based fleet management system that goes far beyond pure vehicle location. The system is customizable and can be tailored to specific user needs due to its modular structure. Not only positions, but also status information and measured values from the hold as well as FMS and DigiTacho information can be recorded. The data is visualized and evaluated in real time in the cloud. A central feature is also the powerful route and tour planning. 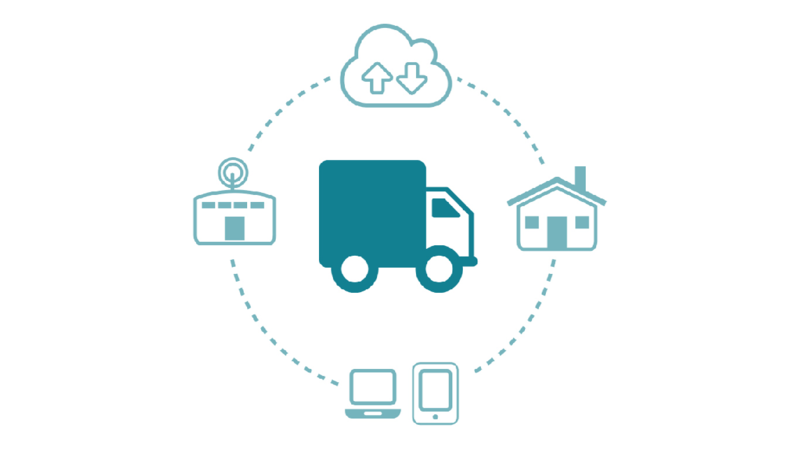 ESYS Fleet takes into account parameters such as customer-specific delivery time windows, start & end points and route profiles. The route planned by the dispatcher is sent to the driver via app directly to the smartphone or a compatible navigation device. The driver in turn uses the app to return the current order and route status to the head office. For vehicle location, we offer mobile battery-operated or fixed GPS transmitters. The current position of the monitored objects is displayed in real time in the web portal (worldwide map display). Route tracking: Dangerous routes can be subsequently displayed and saved as daily, weekly and monthly reports. Alarm function: Individual e-mail alarm messages can be set via a web portal and sent to a smartphone, for example.